NEW YORK, Dec. 6, 2018 /PRNewswire/ -- LIFEWTR® and Marriott Hotels today announced a collaboration to bring more inspiration into the world through art and innovation, featuring the debut of a new augmented reality (AR) in-room guest experience. As part of PepsiCo and Marriott International's recent partnership renewal, LIFEWTR, the premium bottled water that exists to advance and showcase sources of art and creativity, is now the official in-room water for Marriott Hotels nationwide, encouraging guests to explore new worlds of creativity and inspiration within their Marriott Hotels guest room. LIFEWTR and Marriott Hotels marry art and technology through this unique experience, where guests are encouraged to browse virtual artwork from LIFEWTR artists and transform the walls of their guest room according to their inspiration. The AR experience will be featured at a pop-up event taking place at The Oculus at the Westfield World Trade Center in New York on Dec. 5 and 6, and will continue to roll out for guests in Marriott Hotels nationwide throughout 2019. "LIFEWTR and Marriott Hotels are committed to advancing creativity and finding new and innovative ways to bring art to life," said Stacy Taffet, Vice President, Water Portfolio, PepsiCo. "The collaboration allows us to take novel steps in a shared vision to provide guests a unique way to experience art and get even more art and innovation into the world via AR. LIFEWTR's Series 7 bottles, which will be unveiled in early 2019, will further touch on this by supporting emerging creative talent who focus on art through technology." "We are always looking for ways to engage and inspire our guests through innovative travel offerings, from the thoughtful design of our guest rooms to the enriching experiences we create with partners like LIFEWTR," said Matthew Carroll, Vice President, Global Brand Management for Marriott Hotels. 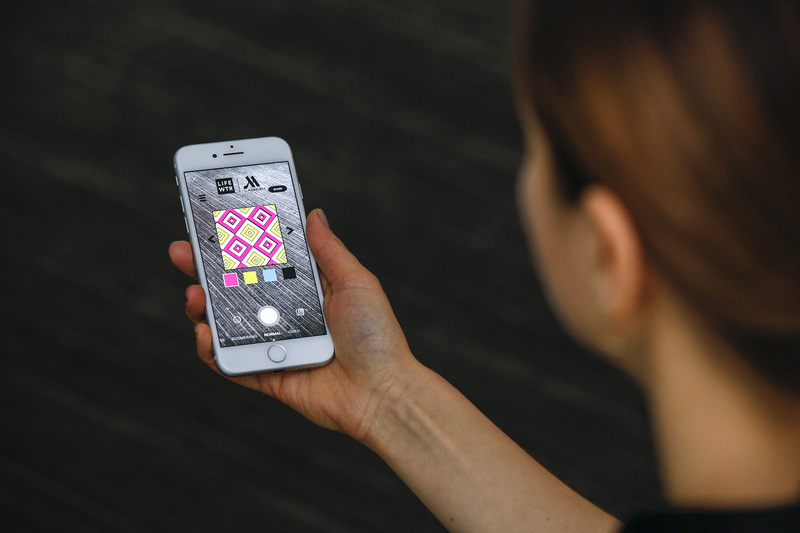 "With our latest AR venture, guests can enhance their stay with us by using technology and art to spark new ways of thinking – from there, the opportunities are endless." 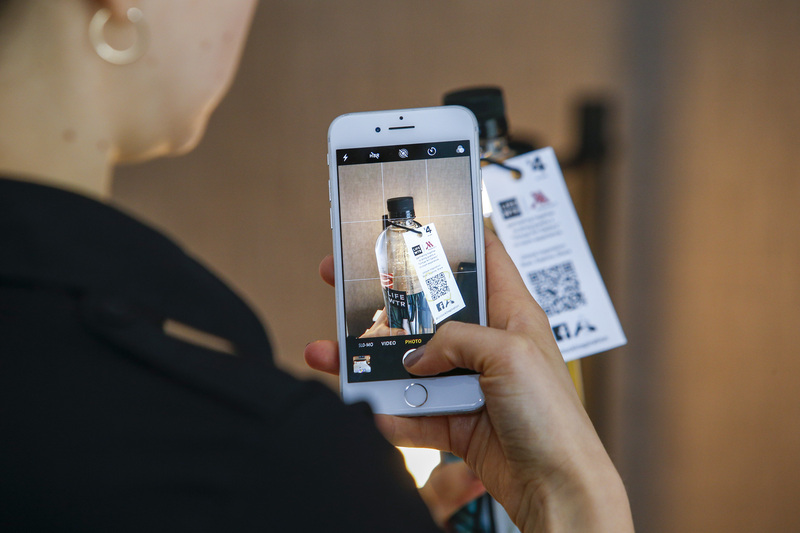 Guests will receive a dose of inspiration by simply scanning a custom bottle tag on LIFEWTR bottles found in participating Marriott Hotels. Users will be prompted to open the Facebook in-app camera for the AR experience to begin. 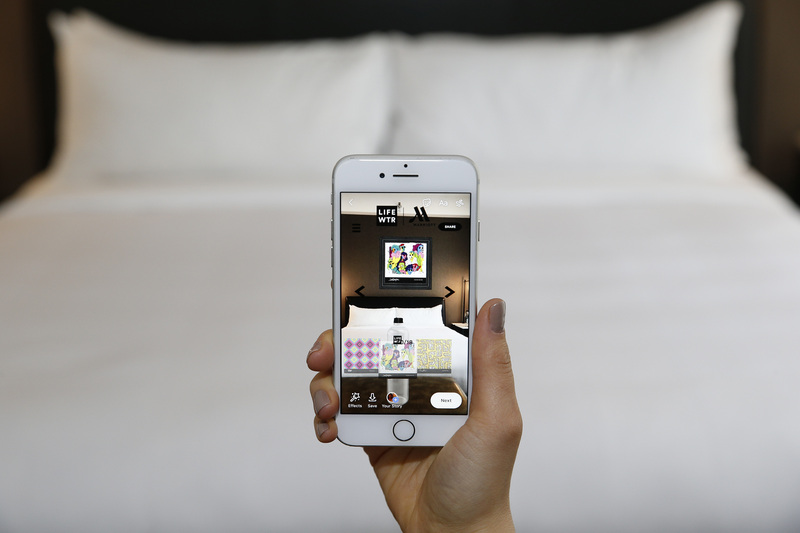 Once the code found on bottle tags is scanned, guests can customize their rooms virtually with an augmented reality art gallery available on their mobile device, featuring artwork from 18 LIFEWTR artists. Guests can choose their LIFEWTR artwork and drag the artwork onto the virtual walls, or even color their own artwork to make the images their own. They can then share photos of their unique décor with followers across social media directly within the application. Marriott Stanton South Beach will be among the first hotels to debut the new experience for guests. To further celebrate this launch at the local level, LIFEWTR will have a presence at Miami Art Week from Dec. 6-9, featuring various curated events and product sampling experiences. For more information, please visit www.LIFEWTR.com and follow @LIFEWTR and @MarriottHotels using #UnlockingInspiration to join in on the conversation. With over 500 hotels and resorts in 65 countries and territories around the world, Marriott Hotels is evolving travel through every aspect of the guest's stay, enabling the next generation to Travel Brilliantly. Boldly transforming itself for mobile and global travelers who blend work and play, Marriott leads the industry with innovations, including the Greatroom lobby and Mobile Guest Services that elevates style & design and technology. Marriott Hotels is proud to participate in the industry's award-winning loyalty program, Marriott Rewards® which includes The Ritz-Carlton Rewards®. Members can now link accounts with Starwood Preferred Guest® at members.marriott.com for instant elite status matching and unlimited points transfer. To learn more, visit www.MarriottHotels.com. Stay connected to Marriott Hotels on Facebook, @marriott on Twitter and @marriotthotels on Instagram.